And the winners of the Dial Body Wash giveaway are: Penny Hayes Snyder﻿, Cheryl Ralley-Messick﻿ and Kristine Shelton﻿! Congrats!!! Thank you everyone for entering! 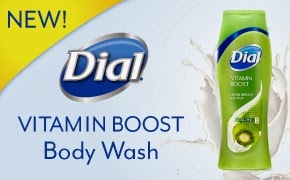 Dial gave me the opportunity to try out their new body wash and I am very happy to share my review with you. This body wash is lotion infused with a vitamin complex - Amazing B. Vitamin B gives you healthy skin which is soft and moisturized. You won't believe how great your skin feels after using this product. I have to say that I couldn't stop touching my skin after I used this body wash. I have pretty dry skin and this product made it so soft. As for the scent, it's light and refreshing. Not overpowering like some body washes are. Want to try the product? I am giving away to two lucky winners a free coupon to try out this fantastic product. I am a huge fan of scented laundry products. The problem is that after a day your clothes lose that great out of the dryer scent. Purex has the answer. 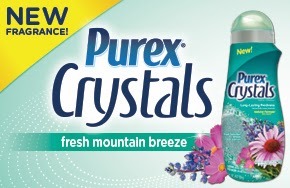 I received Purex Crystals in the Fresh Mountain Breeze scent to test out. The crystals are a laundry enhancer which eliminates odor, freshens laundry and smells fantastic. It is so easy to use this product. You just add the crystals to the washer with your clothes. It is a natural formula that is safe for your family and the environment. It is also safe to use on all types of clothes and for high efficiency washers. Most importantly, it keeps your clothes smelling fresh for weeks. The Fresh Mountain Breeze scent is wonderful. It's crisp and fresh. My clothes were still smelling great a few weeks later. Nothing better than that. Want to try this product? 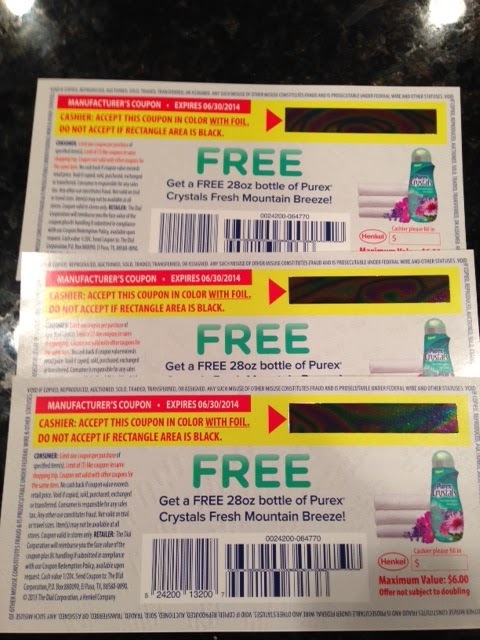 Three lucky winners will be chosen for a free coupon of Purex Crystals in Fresh Mountain Breeze.